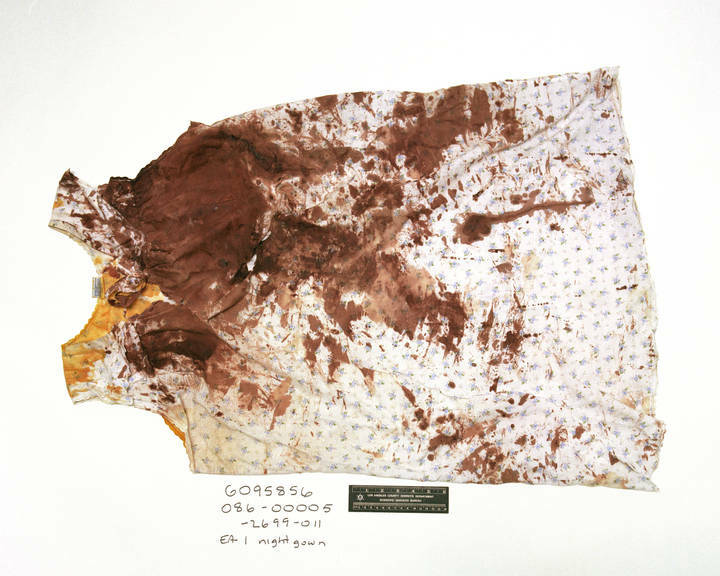 Twenty-two years after a Baldwin Park couple was fatally stabbed by intruders as they slept in their bed, DNA left at the scene pointed to one of their killers. Martin Talavera, 44, was convicted earlier this month of the stabbing deaths of Sylvester Flood, 74, and his fiance, Peggy Johnson, 61, in their home in the 4800 block of Elizabeth Street on Jan. 10, 1986*, said Deputy District Attorney Stefan Mrakich, who prosecuted the case in court. Flood was pronounced dead at the scene, and Johnson died 14 months after the incident from injuries determined to be related to the attack, Mrakich said. Johnson was also raped her during the ordeal. I’ll have some crime scene photos posted up here Sunday. Brian’s story is now online. Here’s a link. I posted the first few paragraphs of the story up here as I was editing it Friday night. So there are some structural changes. See the comparison and the photos on the jump. 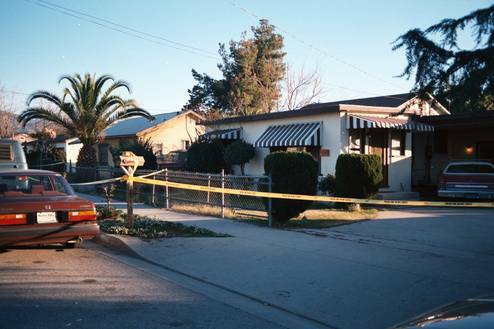 POMONA – Twenty-two years after a Baldwin Park couple was fatally stabbed as they slept, DNA left at the scene pointed to one of their killers. Martin Talavera, 44, was convicted earlier this month of the stabbing deaths of Sylvester Flood, 74, and his fiance, Peggy Johnson, 61. Talavera, a Mexican national, faces life in prison without the possibility of parole when he is sentenced Aug. 15 in Pomona Superior Court. The couple were slain at their home in the 4800 block of Elizabeth Street on Jan. 10, 1986, said Mrakich, the deputy district attorney who prosecuted the case. PHOTOS PROVIDED BY LOS ANGELES COUNTY DAs OFFICE. 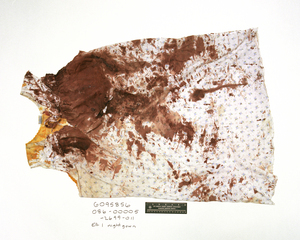 Photo #1 shows the victim’s bloody dress. 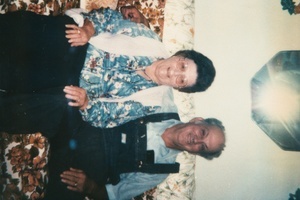 Photo #2 is Sylvester Flood and unidentified woman. Photo#3 shows the home where the slaying occurred. This entry was posted in Baldwin Park and tagged 187, Baldwin Park by Frank Girardot. Bookmark the permalink. I am not very good at math but I do not think that 1996 was 22 years ago. Should it be 1986? I would like to try and obtain a job as a proofreader working from home (if possible) for your newspaper. over 20 years off and on. I have noticed several typos in the entire paper over and over again. My dad was an editor and proof reader for the L.A. Times when I was a kid and he taught me everything I know. I am very good at proofing. My boss has me proof everything she does before it goes to print. Could you please tell me how I can get information for a home based proofing job. Baldwin Park is a S…..t hole! Having worked there I can attest to the fact that it’s residents are NOT of the highest quality (most not all), and they have no pride in their community. It’s been that way for decades. The city council is too involved in fighting among themselves, and personal agendas to administer to the overwhelming problems their city faces with gangs, drugs, illegals, and a dwindling budget. They can’t keep police officers on a long term basis who bail out after their probation is complete. The list goes on.